In these latter days, one can hear the word “aphrodisiacs” very often. It is a relatively new word in modern world. In fact, this term may be referred to only natural substances of animal and vegetable products. So, an aphrodisiac is a substance that increases sexual desire. In general, the list of aphrodisiacs was made for a long time. 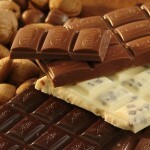 In this article you will find out more about the most delicious aphrodisiacs. So it’s not only tasty, but also very useful – for both, men and women. It is often said that ladies and men are from different planets who were lucky to meet on Earth, but coming from different worlds create difficulties in understanding each other. Even if ladies can more or less understand men, for males this process may be impossible. However, knowing the bases of women’s behavior and emotions, one can easily see the reasons for these or that actions. In addition, better understanding lead to better and firmer relations. Kiev is not only the historical treasury but also the city which has lots of remarkable amusements. One of them is the Jurassic Water Park in the Dream Island shopping center. This water park is considered to be one of the biggest covered parks in the whole Europe, and its square is approximately 24,000 m2. If you are a real connoisseur of Architecture, St. Nicholas Roman Catholic Cathedral will surely win your heart. It is not only the functional church but also the National House of Organ and Chamber Music which is highly appreciated but classic music lovers. 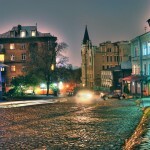 It is located on Velyka Vasylkivska Street, 77, not far from Palace Ukraine. There is a remarkable place located in Nikolaev right at the bank of the river South Boug. If a person wants to have fun and to see really lots of beautiful ladies – there is not place better than Ushuaia. Summer time means summer fun! And one of the best funs in summer is surely going to the beach. There are so many variants of spending time there, that you can stay there all day long! And what is even better – you can take our beloved lady with you. You are in love, you soar in heaven and always run faster home from work to see your beloved. But surely even this magical state of soul will not help in the moments when fatigue draws you into the deep and sticky marshes. After a hard day you can feel obliterated and to be completely exhausted and have no mood for romance. But this article from Step2Love will help to cope with this dreadful surprise. There is a legend that the place where Dnieper now flows was the sea. When St. Andrew came to Kiev and put it on the mountain, where now stands the church of St. Andrew’s cross, all the sea went down. But some part of it remained hidden under Andrew’s mountain. The St. Andrew’s Church has no bells because, according to the legend, at the first impact water would awake and flood not only Kyiv, but also all the Left Bank.